Ok, not much to say about this: It's a small plastic car (a little shorter than 3 inches) with rolling wheels. It's a one seater and Batgirl's driving it, so is this the Batgirlmobile? It says it's for ages 1 1/2 to 5 yrs, so it's clearly designed as a toy for smaller children. It didn't come in a package of any kind; it just had a cardboard tag attached with a little plastic tie. I hope some little kid didn't slobber on this thing before I bought it, though. That'd be gross. It's a pretty basic car design without much detail. It has headlights, something windshield like (although it's lower than Batgirl's head), and a spoiler (but not this one). When you push down on the spoiler, the car does a wheelie (now the name Wheelies makes more sense). There's also what looks a hole for a fuel nozzle, but it's out in the open, meaning it wouldn't be too hard for the Joker to put some sugar in the gas tank (or for Killer Moth to siphon it- I imagine he runs short on cash a lot). 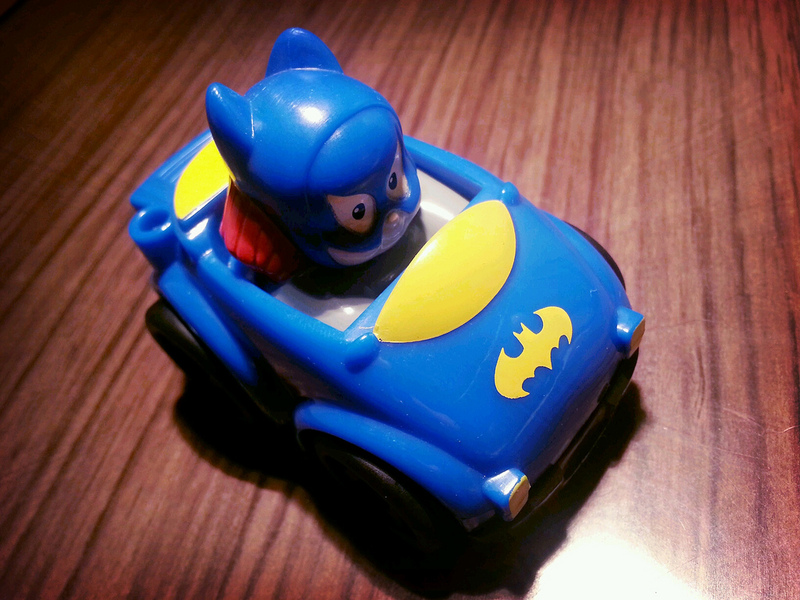 The body of the car is molded in blue plastic and the details, including the Bat symbol on the front, are painted on in yellow. 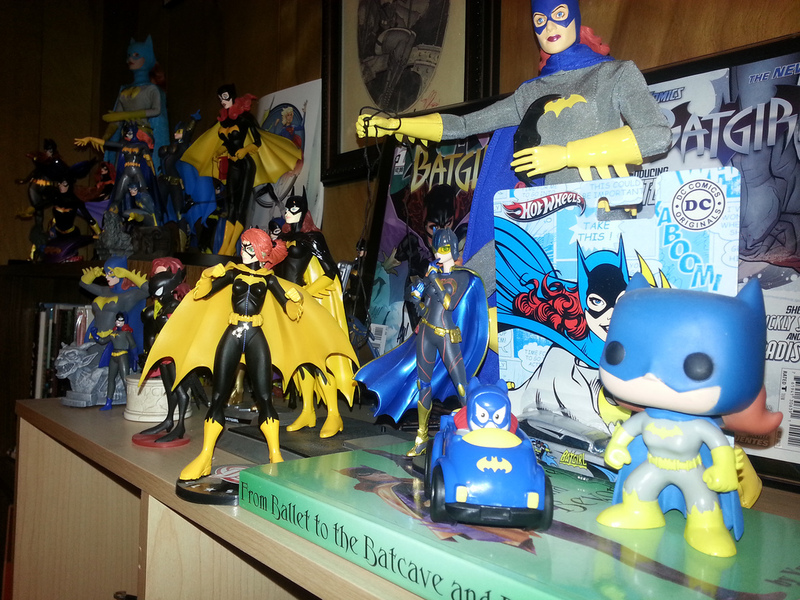 The paint's a little messy on Batgirl herself; there's a good deal of slop around the eyes and edges of her cowl. Of course, most 1 1/2 year old's aren't going to care, but a 2 year old just might. Anyways, this is the latest addition to the Batgirl collection. While I have plenty of fairly normal Batgirl statues and action figures, it's always interesting to add something like this to the collection to give it more variety. I probably paid less than $4 for this, so I'm just going to give it a Good. It's simply a toy car for little kids; it rolls, its durable, it doesn't present a choking hazard, and it probably was never intended to be a collectible item of any kind. 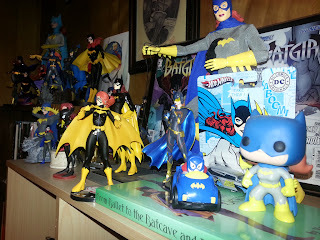 Barbecue17 is always looking for new items for his Batgirl collection. If you notice something cool, drop him a line at thepicreview@gmail.com or send him message on his Flickr account.